Smart format and device conversion presets speed up the process even more. 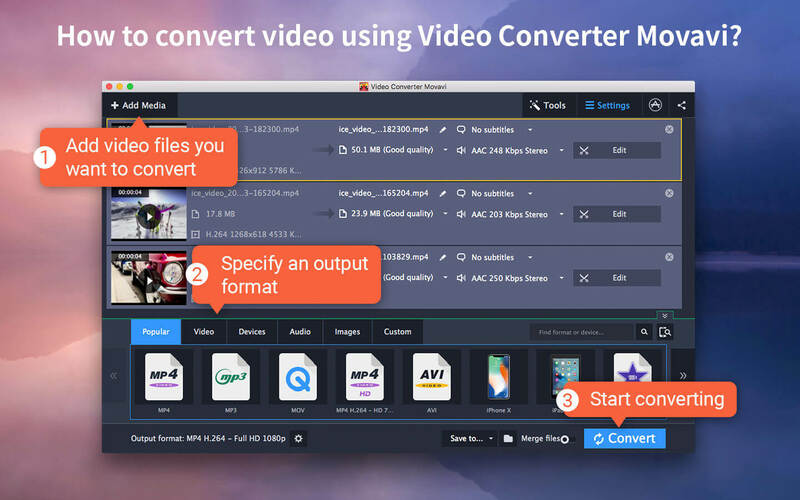 Plus, you can batch-convert your media, and choose different parts of your videos to convert if you don't need the entire file encoded. 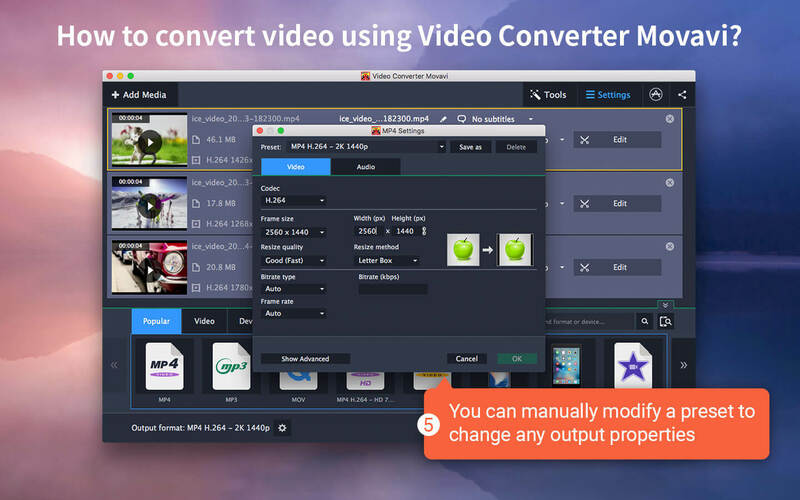 With Video Converter Movavi, you can select any part of the video to convert. The conversion will be completed even faster, and the video or audio fragment will be saved as a separate file.